You don't have to be a quilter to choose fun and useful gifts for your quilting family and friends. There are gifts that nearly every quilter loves to receive—even if they're duplications of items that are already in the sewing room. What are your quilter's favorite colors? Does your quilter ever mention a certain brand or type of fabric? How about tools and equipment? Do a little snooping in the sewing room and listen to your quilter's conversations about favorites. Moda comes up with some great ideas—like their jelly rolls. Moda jelly rolls are wound with 2-1/2" wide strips of selvage-to-selvage fabric strips, perfect for many popular quilting patterns. Moda even creates patterns for use with its jelly rolls (which will also work with your swapped noodle fabrics). Each roll is themed, and some quilt shops offer a Jelly Roll of the Month program to keep you in the loop. These strips (sometimes called noodles) are also a good way to preview new fabric lines before buying longer yardages but don't wait too long or the jelly rolls and bolts will all be gone. Popular with quilters, the Portable Truecolor Ott-Lite Lamp simulates natural light, perfect when it's time to match fabrics. The lamp folds up for storage and has an automatic on/off component. The lamp's energy efficient tube lasts up to 10,000 hours. Mary Ellen's Best Press doesn't leave a sticky residue on your fabrics and every scent choice smells wonderful. Try the lavender and the linen closet sprays and check out the other options. The company makes an unscented version, too. Weighing just eight pounds, the AccuQuilt Go Baby Fabric Cutter will cut through up to six layers of fabric (4 to 6 layers is common for quilting fabrics, less for flannel and denim). It's compatible with more than 60% of the company's GO! dyes. This cutter is not as versatile as the company's larger models. Be sure to verify which shapes are included with any cutter you purchase. The newest Quilt Design software from Electric Quilt is a powerful helper for quilt design. Use the built-in designs to create a quick quilt, change the pre-designed versions as much as you like, or start from scratch with a clean palette. Designing your quilt in EQ gives you an excellent view of the finished product—no more surprises when the quilt is complete. EQ can be used with both Windows and Mac operating systems. 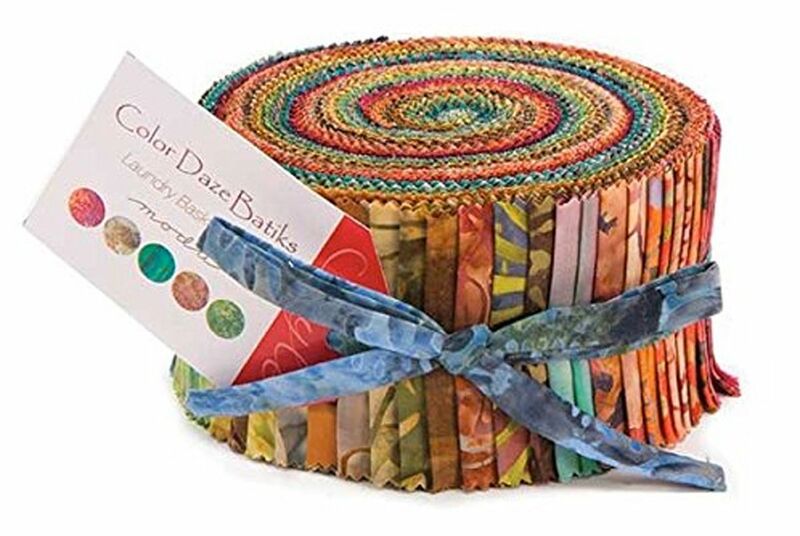 This pretty bundle of hand dyed fat quarters contains ten coordinating fabrics, but you'll find lots of other color choices and sizes of hand dyed bundles, including wools). Search online or ask for hand dyed fabrics at your favorite quilt shop. Quilters love fat quarters of fabric, quarter yard cuts that measure 18" x 22" instead of the 9" x 44" of a standard quarter yard of fabric. The larger chunk of fabric gives quilters a lot more options for using fabric to cut patches for quilts. Local quilt shops nearly always have pre-cut fat quarters for sale, so pay attention to your quilter's favorite colors and head to the shop. If you aren't a quilter ask staff for help with your selections. You'll probably find that staff and customers will jump in to help you find something that's just right. Once you have them, fold the fat quarters into stars.